On this episode of The GAP Luke Lawrie and Joab Gilroy talk about Joaby’s trip to Taiwan to check out the Overwatch Pacific Championship 2017 Season 2. 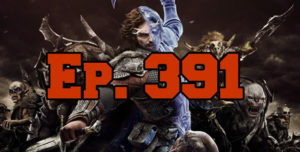 They also discuss the games they’ve been playing which includes Middle-Earth: Shadow of War, Cuphead, Star Wars Battlefront II, PlayerUnknown’s Battlegrounds, the SNES Mini, and more. Over in the news the SNES Mini has been hacked, and PlayerUnknown’s Battlegrounds hits 2 million concurrent players and 15 million units sold. This episode goes for 2 hours and 40 minutes, it also contains coarse language. Don’t forget to come check out The GAP crew live at PAX Aus during The Chicken Challenge: PUBG Live panel. We’ll have a few special guests! 8PM Friday Night in the Galah Theatre.